Five Japan based used cars exporters have been inflating vehicle inspection fee by over 100 per cent for vehicle shipped to Tanzania for almost two years pocketing billion of shillings. The CAG audit report for 2017/2018 released on Wednesday showed SBT Japanese Vehicle, Beforward, Autorec Japan, Tradecarview, and Real Motors Japan charged between 300 US dollars and 380 US dollars for inspection fee above the approved inspection rate of 150 US dollars. "... [This is] an average of 316 US dollars per vehicle, which is above the approved inspection rate of 150 US dollars, by an average of 166 US dollars," the report showed. According to TBS monthly pre-verification of conformity reports from PVoC agents, a total of 57,031 used vehicles were inspected in Japan, intended to be exported to Tanzania, between January, 2017 and September, 2018, thus, a total of inspection fees of 9.47 million US dollars (20.92bn/-) were overcharged to Tanzanian individuals and entities. 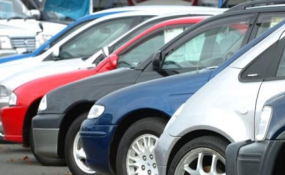 CAG blamed Tanzania Bureau of Standards (TBS) for failure of regulating and registering used motor vehicle dealers, which is against the whole process of safeguarding consumers' interest. "I recommend that TBS initiate awareness campaign to educate the public on the amount to be charged for motor vehicle inspection by vehicle dealers," the report said. The CAG revealed that, upon request for proforma invoices, one from each company, for used motor vehicles made between last November and December were overcharging customers. CAG recommended to the bureau to develop a guideline which should be adopted by all used vehicle dealers on the importance of ensuring their operations follow Tanzania laws and regulations. TBS should ensure that all used vehicle dealers operating in the country are registered by the Bureau and their operations are monitored for adherence to road worthiness standards on all vehicles sold by their companies. "Further, the CAG report said, strict rules including penalty charges, periodical blacklisting and total ban should be introduced depending on the level of misconduct by the dealers if noticed. Under Pre-Shipment Verification of Conformity (PVoC), TBS has entered into an agreement with four PVoC service providers for used motor vehicles which is valid for the period from March 2018 to February 2021, where 30 per cent of the amount collected is remitted to the Bureau. The inspection fee is charged at the rate of 150 US dollars per vehicle after previous agreement of 140 US dollars started in March 2015 to February 2018 expired.